This cookbook, which features recipes that are, or would be, included in the menu for the restaurant Camino, is exciting and inspiring. 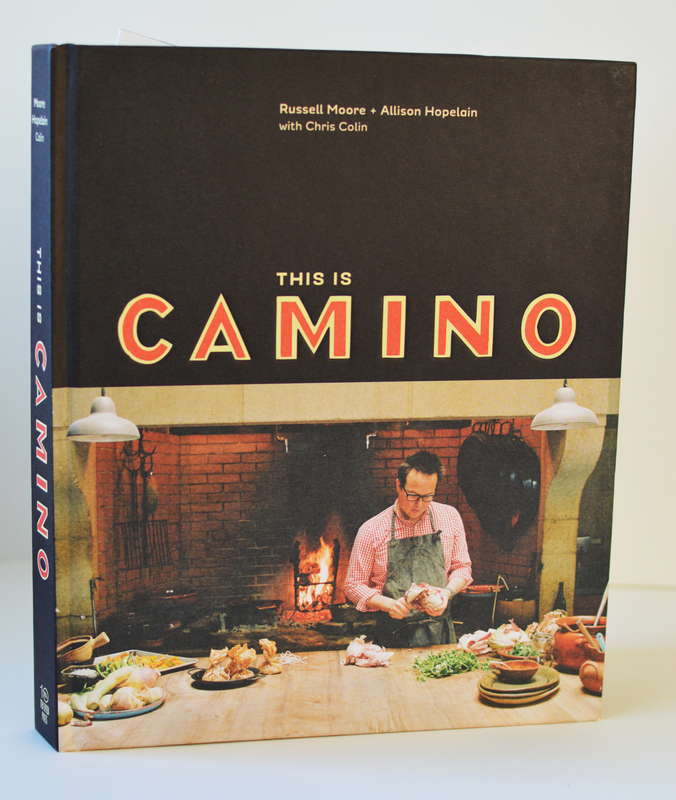 The vast majority of the dishes in the book are created with Camino’s signature cooking method, the fire. Unfortunately, if you do not have a BBQ or something similar, it will be very hard to try a lot of the recipes. However, the book itself is very well-written and allows the personalities of those who work at Camino to shine through. I especially enjoyed the section in the middle of the book, written by Chris Colin, which gives the reader insight into a week in the life of Camino and its staff. And, of course, Ten Speed Press has once again designed a beautiful book. The only thing that bothers me about This Is Camino is the semi-elitist view on cooking. Moore makes it very clear that good chefs can make a great dish out of almost anything, and can use any leftover ingredients. I am very much on board with the idea of using as much of the ingredients as possible, but I do not think that it makes you less of a great cook if you can’t find the time to think up a new recipe every other day. For those of us who do not spend every waking hour making and thinking about food (despite how much we would like to), finding a way to use leftover cilantro stems, for instance, might just be unrealistic on a day-to-day basis. Especially good for: experimental, brave chefs who love working with new techniques and new flavors.